I've been making jewelry and thinking.. can I use this to help someone? I thought that maybe I could either give some jewelry to some online organizations.. or to people who need some cheering up.. So, anyone have any organizations in mind, or any jewelry findings/beads you don't want or need? Either way, send me a pm. Thanks to everyone who said such nice things.. I didn't expect it..
Beautiful.. I wish my first purse came out much better than it actually did.. I put sewing down two years ago. I've been itching to try again.. this might be the push I needed... Good work! Why thank you! Next batch I make, I'll photograph. Promise. 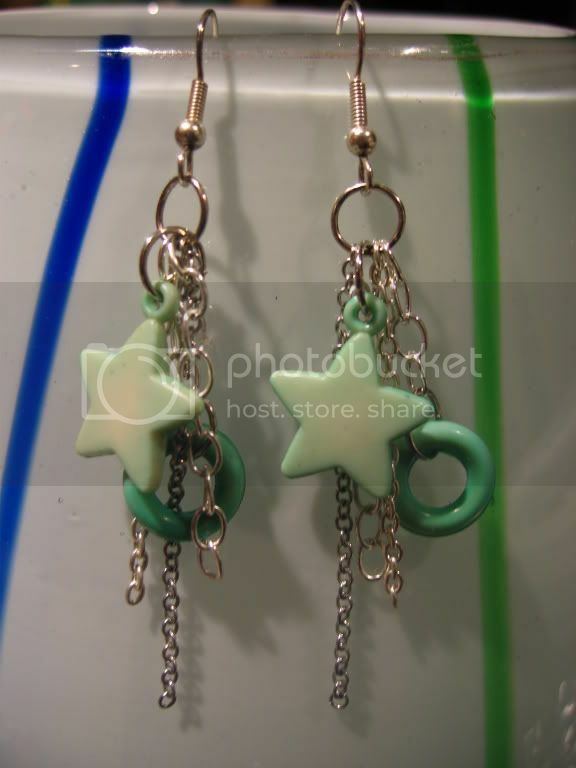 Nothing special.. All of my special earrings have been sold without prior photography. I love it that we're getting some guys on here..
great hair and goats everyone!! Red is the hardest color to get to stay in your hair and yet the hardest color to get out of your hair. Right behind black! I just got rid of black for red...and I bleached that today and have brown in my hair as we speak..hopefully it sticks.